Will Herman - For many, racing is ultimately what fell running is all about. It is a position that has been markedly at odds with my approach for many years, fell running being something which I have done simply for the joy of being in the mountains. Quite often as something that can be done when the weather is too poor for other things. Adventurous Experiences - It's been flat out on the water, and our priority is delivering high quality experiences. SUP Connect - The International Surfing Association (ISA) welcomed the support of the Association of PaddleBoard Professionals (APP) and the elite, professional athletes of StandUp Paddle (SUP), after they jointly released a statement recognizing the ISA as the sole world governing body for the sport. SUP Examiner - The Story Wave Tribe was founded by Derek Dodds and a tribe of fellow surfers to create top of the line products with the planet in mind. They make Hemp Day bags and travel boardbags, cork deckpads and traction, and recycled leashes. Northwest Rafting Company - The Middle Fork of the Salmon River is so well-known that it is simply referred to as the Middle Fork. It has jaw-dropping scenery, world-class fishing, hot springs, great camp sites, and wildlife. Jackson Kayak - Summer is here, Not only have the daily temperatures been heating up, the fishing has also. As luck would have it, the days I would be free to get on the water were not the calmest days of the last few weeks. 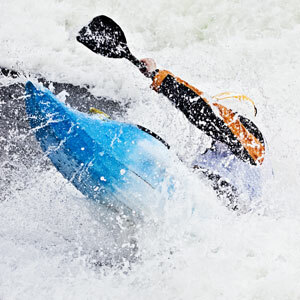 Jackson Kayak - South silver Creek is one of the many California classic rivers, located in the Sierra Nevada Mountains. Tucked away within the canyons among the pine tress and the beautiful granite lies this stunning creek. International Rafting Federation - Eight teams were crowned as the European Champions in Slovakia recently. Let’s take a look at the champions and the medal winners.